Sorry for the absence over the last week- I’ve had a lot of things happen at once and far too much on my mind resulting in the neglecting of my blog. 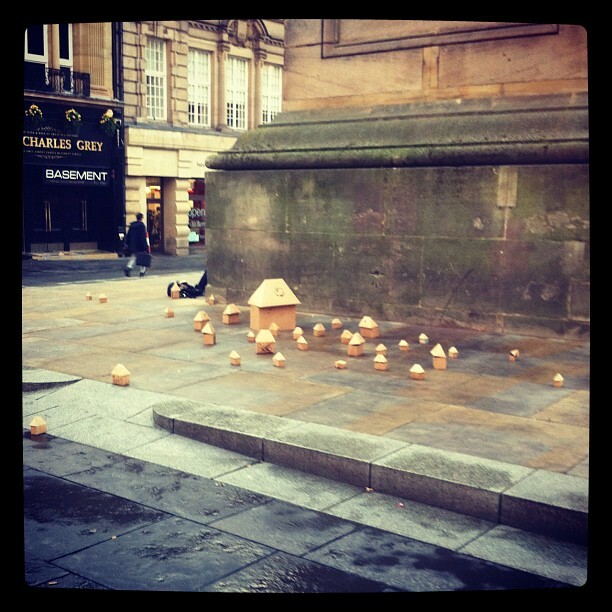 Just a quick one… I noticed these little cardboard houses have appeared on the Monumnet, taking the place of the Occupy protesters in Newcastle. They looked kind of eery as I walked past the monument earlier. Any ideas who put them there or why?